airplane, automobile, bird, cat, deer, dog, frog, horse, ship, and truck. For more details refer to the CIFAR-10 page and a Tech Report by Alex Krizhevsky. Highlights a canonical organization for network architecture, training and evaluation. Provides a template for constructing larger and more sophisticated models. The reason CIFAR-10 was selected was that it is complex enough to exercise much of TensorFlow's ability to scale to large models. At the same time, the model is small enough to train fast, which is ideal for trying out new ideas and experimenting with new techniques. Core mathematical components including tf.nn.conv2d (wiki), tf.nn.relu (wiki), tf.nn.max_pool (wiki) and tf.nn.local_response_normalization (Chapter 3.3 in AlexNet paper). Visualization of network activities during training, including input images, losses and distributions of activations and gradients. Routines for calculating the tf.train.ExponentialMovingAverage of learned parameters and using these averages during evaluation to boost predictive performance. 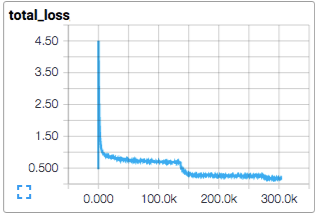 Implementation of a tf.train.exponential_decay that systematically decrements over time. Prefetching input data to isolate the model from disk latency and expensive image pre-processing. Configuring a model to train across multiple GPU cards in parallel. Sharing and updating variables among multiple GPUs. The model in this CIFAR-10 tutorial is a multi-layer architecture consisting of alternating convolutions and nonlinearities. These layers are followed by fully connected layers leading into a softmax classifier. The model follows the architecture described by Alex Krizhevsky, with a few differences in the top few layers. This model achieves a peak performance of about 86% accuracy within a few hours of training time on a GPU. Please see below and the code for details. It consists of 1,068,298 learnable parameters and requires about 19.5M multiply-add operations to compute inference on a single image. The code for this tutorial resides in models/tutorials/image/cifar10/. cifar10_input.py Loads CIFAR-10 dataset using tensorflow-datasets library. cifar10.py Builds the CIFAR-10 model. cifar10_train.py Trains a CIFAR-10 model on a CPU or GPU. cifar10_multi_gpu_train.py Trains a CIFAR-10 model on multiple GPUs. cifar10_eval.py Evaluates the predictive performance of a CIFAR-10 model. Model inputs: inputs() and distorted_inputs() add operations that read and preprocess CIFAR images for evaluation and training, respectively. Model prediction: inference() adds operations that perform inference, i.e. classification, on supplied images. Model training: loss() and train() add operations that compute the loss, gradients, variable updates and visualization summaries. The input part of the model is built by the functions _get_images_labels() and Transformer(). They are cropped to 24 x 24 pixels, centrally for evaluation or tf.random_crop for training. They are tf.image.per_image_standardization to make the model insensitive to dynamic range. tf.image.random_flip_left_right the image from left to right. Please see the Images page for the list of available distortions. We also attach an tf.summary.image to the images so that we may visualize them in TensorBoard. This is a good practice to verify that inputs are built correctly. Reading images from disk and distorting them can use a non-trivial amount of processing time. To prevent these operations from slowing down training, we apply the transformation in parallel (num_parallel_calls argument of dataset.map()), and prefetch the data. conv1 tf.nn.conv2d and tf.nn.relu activation. conv2 tf.nn.conv2d and tf.nn.relu activation. local3 fully connected layer with rectified linear activation. local4 fully connected layer with rectified linear activation. softmax_linear linear transformation to produce logits. EXERCISE: The output of inference are un-normalized logits. Try editing the network architecture to return normalized predictions using tf.nn.softmax. The inputs() and inference() functions provide all the components necessary to perform an evaluation of a model. We now shift our focus towards building operations for training a model. EXERCISE: The model architecture in inference() differs slightly from the CIFAR-10 model specified in cuda-convnet. In particular, the top layers of Alex's original model are locally connected and not fully connected. Try editing the architecture to exactly reproduce the locally connected architecture in the top layer. The usual method for training a network to perform N-way classification is multinomial logistic regression, aka. softmax regression. Softmax regression applies a tf.nn.softmax nonlinearity to the output of the network and calculates the tf.nn.sparse_softmax_cross_entropy_with_logits between the normalized predictions and the label index. 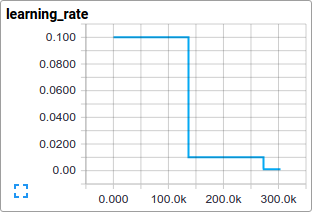 For regularization, we also apply the usual tf.nn.l2_loss losses to all learned variables. The objective function for the model is the sum of the cross entropy loss and all these weight decay terms, as returned by the loss() function. We train the model using standard gradient descent algorithm (see Training for other methods) with a learning rate that tf.train.exponential_decay over time. The train() function adds the operations needed to minimize the objective by calculating the gradient and updating the learned variables (see tf.train.GradientDescentOptimizer for details). It returns an operation that executes all the calculations needed to train and update the model for one batch of images. We have built the model, let's now launch it and run the training operation with the script cifar10_train.py. NOTE: The first time you run any target in the CIFAR-10 tutorial, the CIFAR-10 dataset is automatically downloaded. The dataset is ~160MB so you may want to grab a quick cup of coffee for your first run. The first batch of data can be inordinately slow (e.g. several minutes) as the preprocessing threads fill up the shuffling queue with 20,000 processed CIFAR images. The reported loss is the average loss of the most recent batch. Remember that this loss is the sum of the cross entropy and all weight decay terms. Keep an eye on the processing speed of a batch. The numbers shown above were obtained on a Tesla K40c. If you are running on a CPU, expect slower performance. cifar10_train.py periodically uses a tf.train.Saver to save all model parameters in checkpoint files but it does not evaluate the model. The checkpoint file will be used by cifar10_eval.py to measure the predictive performance (see Evaluating a Model below). If you followed the previous steps, then you have now started training a CIFAR-10 model. Congratulations! Is the loss really decreasing or is that just noise? Is the model being provided appropriate images? Are the gradients, activations and weights reasonable? What is the learning rate currently at? Individual loss functions, as well as the total loss, are particularly interesting to track over time. However, the loss exhibits a considerable amount of noise due to the small batch size employed by training. In practice we find it extremely useful to visualize their moving averages in addition to their raw values. See how the scripts use tf.train.ExponentialMovingAverage for this purpose. Let us now evaluate how well the trained model performs on a hold-out data set. The model is evaluated by the script cifar10_eval.py. It constructs the model with the inference() function and uses all 10,000 images in the evaluation set of CIFAR-10. It calculates the precision at 1: how often the top prediction matches the true label of the image. To monitor how the model improves during training, the evaluation script runs periodically on the latest checkpoint files created by the cifar10_train.py. Be careful not to run the evaluation and training binary on the same GPU or else you might run out of memory. Consider running the evaluation on a separate GPU if available or suspending the training binary while running the evaluation on the same GPU. The training script calculates the tf.train.ExponentialMovingAverage of all learned variables. The evaluation script substitutes all learned model parameters with the moving average version. This substitution boosts model performance at evaluation time. EXERCISE: Employing averaged parameters may boost predictive performance by about 3% as measured by precision @ 1. Edit cifar10_eval.py to not employ the averaged parameters for the model and verify that the predictive performance drops. Modern workstations may contain multiple GPUs for scientific computation. TensorFlow can leverage this environment to run the training operation concurrently across multiple cards. Training a model in a parallel, distributed fashion requires coordinating training processes. For what follows we term model replica to be one copy of a model training on a subset of data. Naively employing asynchronous updates of model parameters leads to sub-optimal training performance because an individual model replica might be trained on a stale copy of the model parameters. Conversely, employing fully synchronous updates will be as slow as the slowest model replica. Place an individual model replica on each GPU. 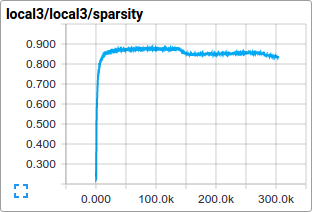 Update model parameters synchronously by waiting for all GPUs to finish processing a batch of data. 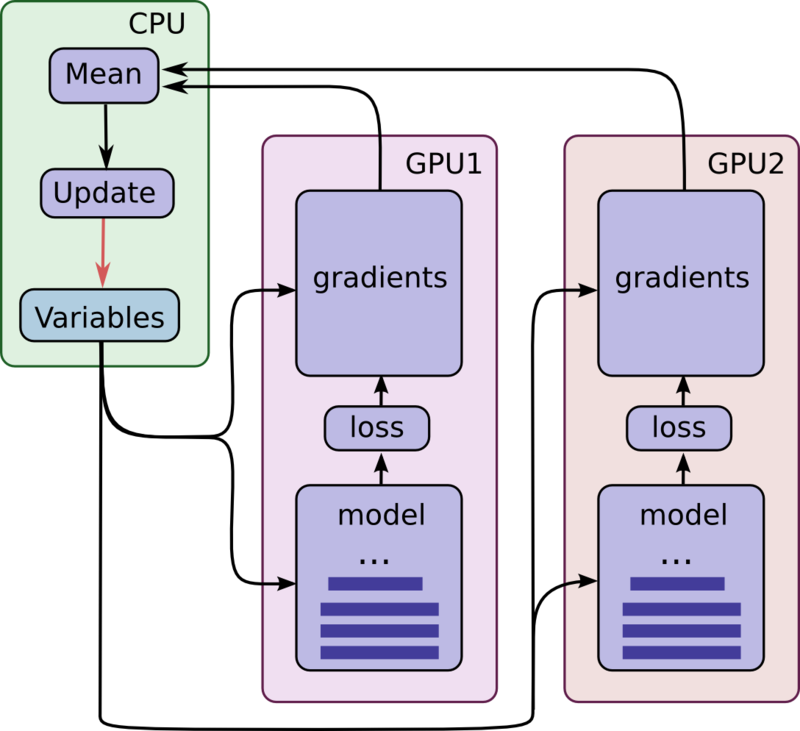 Note that each GPU computes inference as well as the gradients for a unique batch of data. This setup effectively permits dividing up a larger batch of data across the GPUs. This setup requires that all GPUs share the model parameters. A well-known fact is that transferring data to and from GPUs is quite slow. 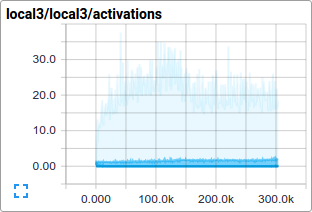 For this reason, we decide to store and update all model parameters on the CPU (see green box). A fresh set of model parameters is transferred to the GPU when a new batch of data is processed by all GPUs. The GPUs are synchronized in operation. All gradients are accumulated from the GPUs and averaged (see green box). The model parameters are updated with the gradients averaged across all model replicas. Placing operations and variables on devices requires some special abstractions. A unique name for all operations within a tower. tf.name_scope provides this unique name by prepending a scope. For instance, all operations in the first tower are prepended with tower_0, e.g. tower_0/conv1/Conv2D. A preferred hardware device to run the operation within a tower. tf.device specifies this. For instance, all operations in the first tower reside within device('/device:GPU:0') scope indicating that they should be run on the first GPU. All variables are pinned to the CPU and accessed via tf.get_variable in order to share them in a multi-GPU version. See how-to on Sharing Variables. If you have several GPU cards installed on your machine you can use them to train the model faster with the cifar10_multi_gpu_train.py script. This version of the training script parallelizes the model across multiple GPU cards. Note that the number of GPU cards used defaults to 1. Additionally, if only 1 GPU is available on your machine, all computations will be placed on it, even if you ask for more. EXERCISE: The default settings for cifar10_train.py is to run on a batch size of 128. Try running cifar10_multi_gpu_train.py on 2 GPUs with a batch size of 64 and compare the training speed. If you are now interested in developing and training your own image classification system, we recommend forking this tutorial and replacing components to address your image classification problem. EXERCISE: Download the Street View House Numbers (SVHN) data set. Fork the CIFAR-10 tutorial and swap in the SVHN as the input data. Try adapting the network architecture to improve predictive performance.